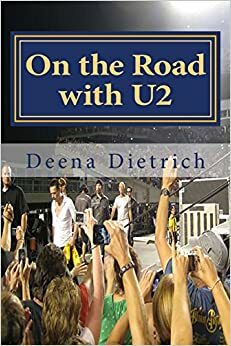 On October 28, 2001, U2’s Elevation Tour returned back to the Continental Airlines Arena where it had played two shows to end the first leg of the tour in June. Tasha, Paola and I drove to Jersey the night before, as soon as the third New York City show finished. We got our numbers in the GA line (I was number 46) and went to our hotel to sleep. We were back in the GA line by 7am the morning of the show. This was to be Paola’s first GA show. It was the most relaxing GA line, which was a nice change of pace from the New York shows. Elevation Jersey 10.28.01 Set List: Elevation, Beautiful Day, Until the End of the World, New Year’s Day, I Will Follow, Sunday Bloody Sunday, Stuck In a Moment, Kite, Angel of Harlem (full band – electric), Please (acoustic – Bono, Edge, and guest), All I Want Is You, Where the Streets Have No Name, I Still Haven’t Found What I’m Looking For, Pride, Bullet the Blue Sky, What’s Going On, New York, One, Peace on Earth / Walk On.